Description: Boye Needlepoint Needles #18 are large eye, thick shaft Needlepoint Needles with a blunt point. 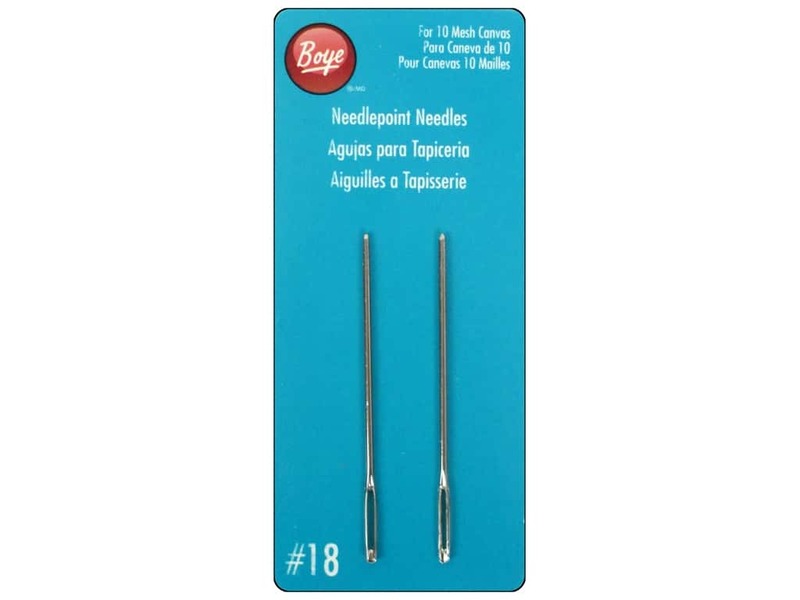 These needles are perfect for 10 mesh canvas. 2 pc.